Nicolaus spends EVERY DAY at the golf course training with a pro so we had to include some golf related images along with urban and Chicago street portraits. He ruled his session just like I'm sure he is in the zone for his golf matches. 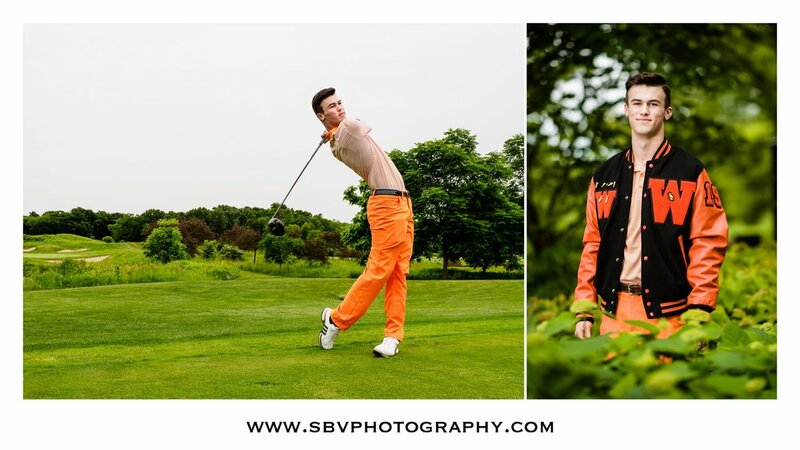 Senior portraits on the golf course. Once we got downtown, Nicolaus changed his outfits to better suit the urban feel of the city and we spent some time in the grungiest of alleyways to the bustle of the Chicago River bridges with the big, bold, beautiful city as our backdrop. Chicago urban style senior photos. 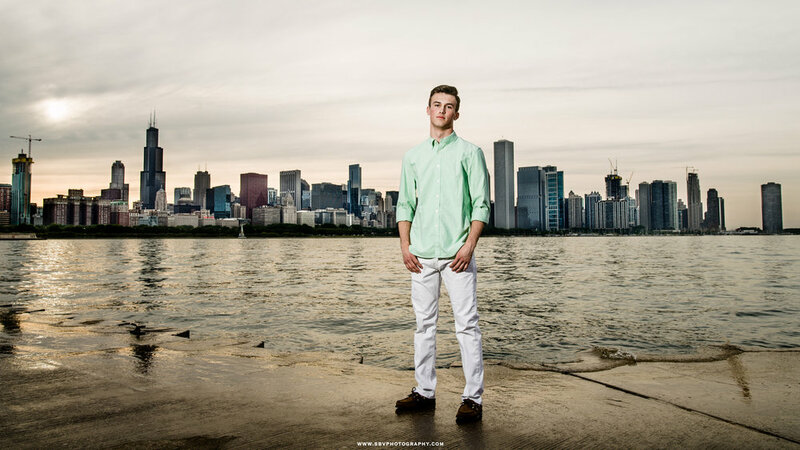 Marquee lights shine in this Chicago senior picture. We had pretty much written off any type of sunset on this cloudy day in Chicago and then just before we were about to call a taxi, a ball of fire appeared over the skyline for a fitting end to Nicolaus Senior Picture Session in Chicago. Chicago senior picture sunset photo. I hope you have enjoyed this sneak peek look at this Chicago Senior Picture Session. Be sure to fill out the Contact Form to inquire about your own portrait or senior session in Chicago or Northwest Indiana.